In an essay simply entitled “Love and Justice,” Paul Ricoeur attempts to articulate how these two concepts relate. 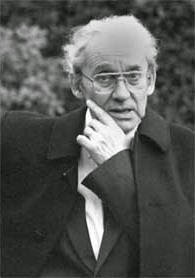 To sort this out, Ricoeur turns to the method of dialectics, by which he means “on the one hand, the acknowledgment of the initial disproportionality between our two terms and, on the other hand, the search for practical mediations between them—mediations, let us quickly say, that are always fragile and provisory” (315). In other words, Ricoeur notes that love and justice are not the same thing, and are even located at opposite ends of a spectrum, yet there are ways of seeing how and when they intertwine and cooperate. When these two intersect, they always do so temporarily, for they are still fundamentally different. It’s an impressive attempt to deal with two central ideas in Western thought. Is dialectics, however, the best relationship we can come up with? Let’s begin by rehearsing what Ricoeur has to say about love. Love, he contends, has three main aspects: praise, commandment, and feeling. These three aspects constitute a “discourse” of love, a web and way of thinking and being. Illustrating these aspects leads Ricoeur to consider their appearance in various biblical texts, especially the Psalms and Paul’s hymn to love in 1 Corinthians 13. In all these aspects, love is based on a particular relationship—one praises this or that, one commands someone or is commanded, one feels something about something. Love takes place in intimate spaces.